This is a hand-held tester for field use. It clips onto the leads of an EED. It will indicate whether the EED contains a capacitor across the bridgewire, as protection against radio-frequency (RF) energy. If the EED contains a capacitor, a green light turns on. 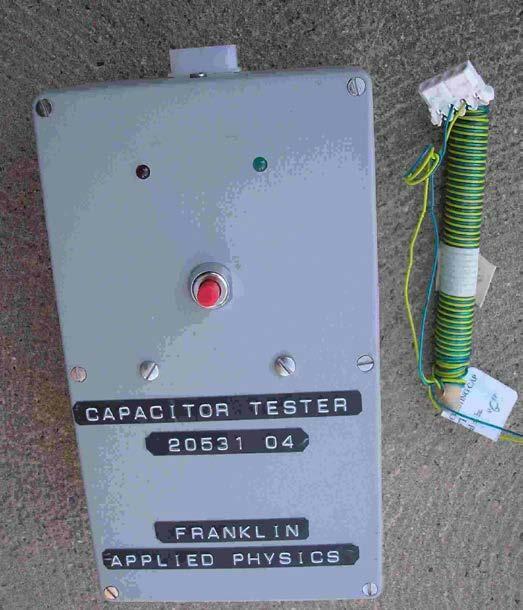 If the EED contains no capacitor, a red light turns on. The picture above shows this tester with a Mark 17 Mod 1 electric detonator.